The recommended tank size for housing is a minimum of 10 gallons. 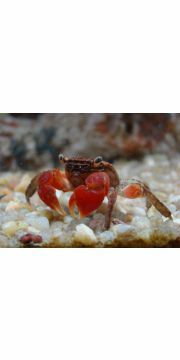 A 10 gallon aquarium can keep 1 male with up to 2 females; however there is still a chance of confrontation that could end in a fatal fight. A sandy substrate is ideal to allow for easy foraging and to facilitate burrowing habits. Several hiding places should be provided; the use of driftwood, aquarium décor, and aquatic plants (real or plastic/silk) are ideal. 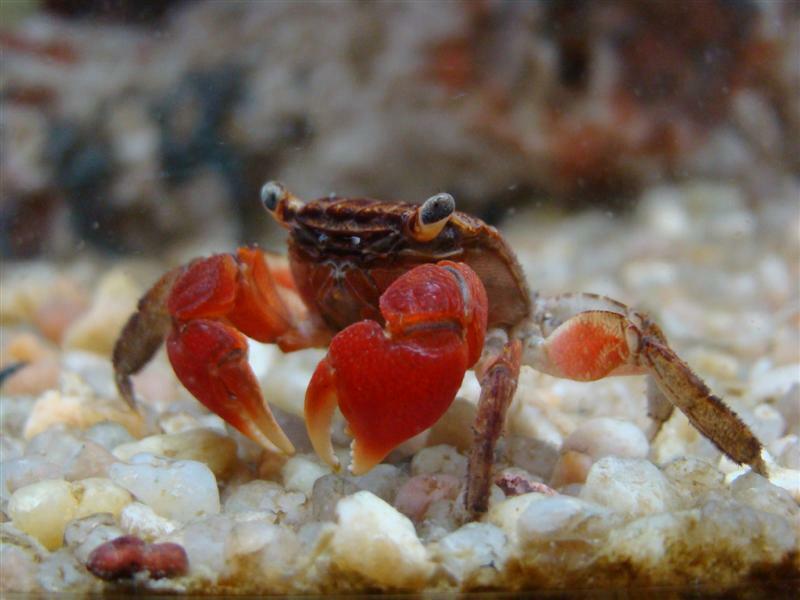 Despite what many hobbyists may say, Red Claw Crabs are not fully aquatic and must have access to land. This can be done by having a half-land-half-water style aquarium set-up, or by having aquarium decorations that are taller than the water line. These crabs are excellent climbers and great escape artists. Therefore, the water line should be at least a few inches below the rim of the tank, and a tightly fitting, fully sealed lid should always be in place. The water should be cycled and properly filtered. A weekly 25% water change can further improve water quality.